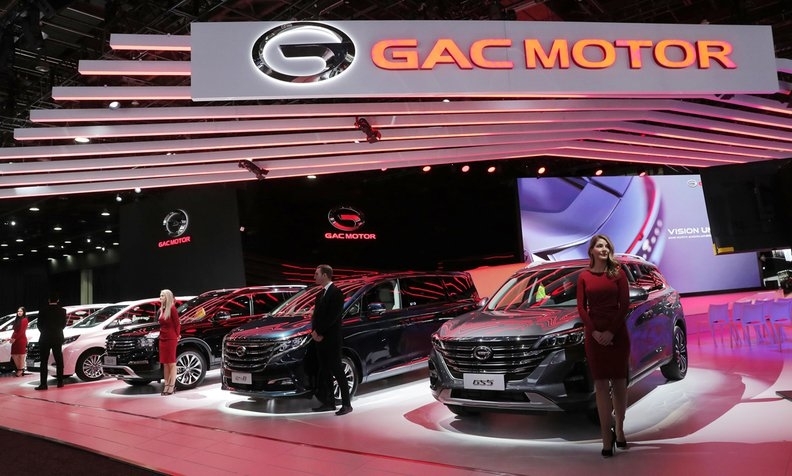 China's GAC appeared at the Detroit auto show as it prepares to launch sales in the U.S. -- even if the exact timing is in doubt. Chinese dealers met with their Canadian counterparts to share ideas during the week of Jan. 23, 2019. TORONTO — In what was a matter of keeping their friends close but the competition closer, Canadian auto dealers recently hosted their counterparts from China in what was a fact-finding mission for both groups. A contingent of the China Automobile Dealers Association visited the Canadian Automobile Dealers Association and the Trillium Automobile Dealers Association during the week of Jan. 23. The Chinese group was en route to the National Automobile Dealers Association conference in Las Vegas as part of an ongoing relationship of exchanging information, ideas and business operations. The Chinese delegation wanted to come to Toronto and get a presentation from TADA about its market base, services it provides and dealer aid points. And TADA gleaned some useful information from the Chinese. It was the second time the China Automobile Dealers Association visited Canada, having attended at the 2016 Vancouver International Auto Show. Canadian representatives have been among a select few globally that have been invited to the China Automobile Dealers Association’s international forum every November since 2017. Both Canadian Automobile Dealers Association President John White and Bourgon gave presentations to the Chinese group in Toronto. White said his presentation included information about its national Auto Career Start Program, which was launched in June, 2018 to educate the public about the various opportunities available in the automotive retail industry and to help connect job seekers with employers. Jason Dale, Executive Director of the Automotive Business School Canada in Barrie, which has many international students, was also present to provide information about his program from a training perspective. Bourgon said the Chinese began manufacturing their own vehicles 10 years ago and total market sales, including imports, was 20 million sold last year and they are hoping to sell 22 million this year. “None of them right now conform to Transport Canada, but they have clearly told us than in order to grow their market like anybody else they have to expand globally,” Bourgon said.